Harwil® type Q-10N & Q-10VCR switches are provided with three factory adjustable parameters – paddle area, length, & stiffness – which provide performance flexibility to meet a multitude of applications. They respond to fluid flow only, independent of line pressure and temperature. A positive stop eliminates fatigue effects of turbulence, vibration, and flow surge on flow detecting element. Their small size and low profile provides easy mounting in crowded installations. 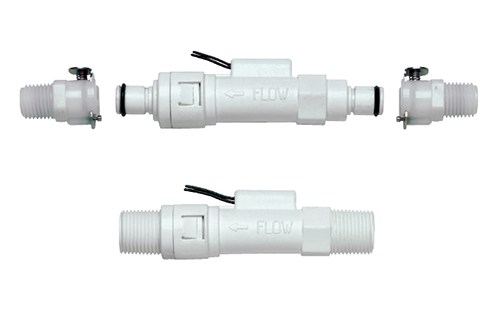 Kobold® type PS & PSR paddle flow switches can be used wherever a simple economic yet reliable monitoring instrument is required for flow switching applications. A movable reed switch allows the contacts to be set either normally open (N/O) or normally closed (N/C).